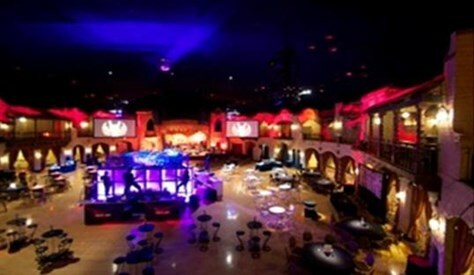 How long do I have the venue? 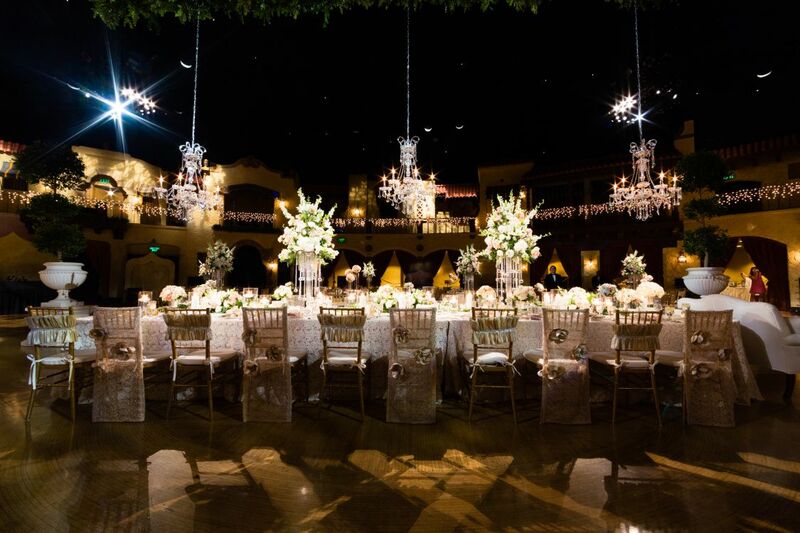 Weddings and wedding receptions may last up to six hours and must end no later than 12:00 AM (midnight). 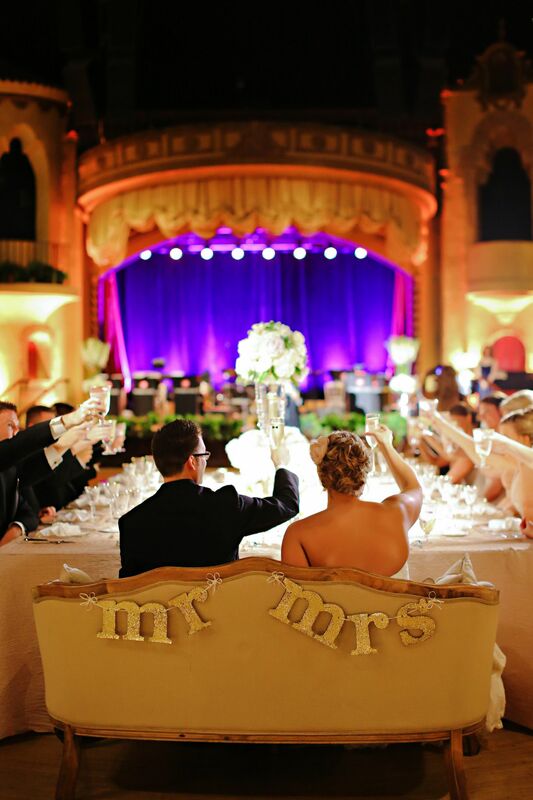 Wedding ceremonies require one hour slotted for guest arrival time and the ceremony. The ceremony time is included in the six hour time frame and additional labor charges will apply should you chose to have both your ceremony and reception here. Please contact us for more information. Encore Catering is our exclusive caterer. No outside food or beverage is permitted. Food and beverage prices are subject to change due to market fluctuations. We will strive to maintain price levels and allow comparable items to be substituted in cases where the price increase is beyond our control. Special order products are purchased in predetermined amounts and will not be restocked. Specialty foods and beverages are available upon request. For additional information, visit our catering services page. The Indiana Roof Ballroom does not provide wedding cakes; therefore you are welcome to use any licensed vendor for your cake. It is required that your wedding cake specialist has a Board of Health License and Retail Merchant's Certificate. The wedding cake specialist is responsible for the delivery and setup of the cake, as well as any decorations on the cake table. We will cut and serve the cake at no additional charge. What kind of linens do you offer? Are upgraded options available? 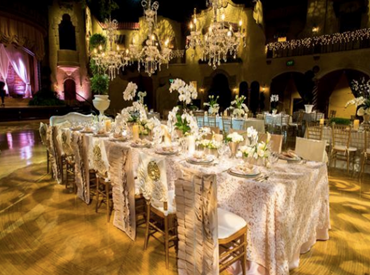 We will provide tables, chairs, linens, flatware, glassware and china for your reception. We offer the use of 5ft round tables that set up to 10 people, as well as square table cloths and napkins available in an assortment of colors. 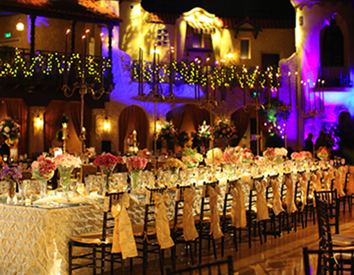 Should you choose to upgrade our standard offerings; you may do so at an additional cost, by renting from either A Classic Party Rental or Best Rentals, our exclusive rental providers. You will be required to provide a certificate of insurance for a general liability policy of $1 million, naming the business entities operating here as additionally insured. The certificate of insurance is due two months prior to the scheduled event. We accept certificates available through wedsafe.com.